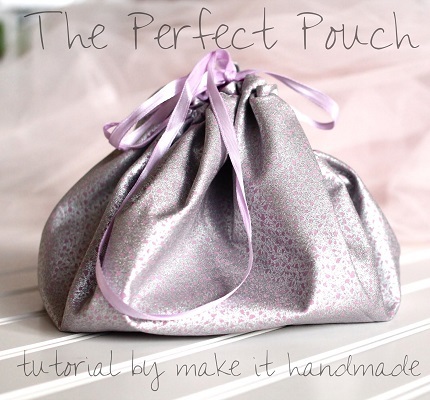 Palak from Make It Handmade shows how you can make a beautiful drawstring pouch to hold your jewelry or small cosmetics. When opened, it flattens out to make a round mat to hold your pretties or make-up while getting ready. Then, just pull the string to cinch it up into a bag. Get the how-to at Make It Handmade.